La société Atos Healthcare, filiale d’Atos Origin est chargée par le gouvernement Britannique d’effectuer des contrôles auprès des bénéficiaires d’allocations handicap, dans le but avoué de réduire de 20% ce poste budgétaire au Royaume Uni, tandis que le gouvernement mène sans relâche une campagne de diabolisation des personnes handicapées, traitées en parasites de la société. Ces contrôles humiliants auxquels doivent se soumettre les personnes handicapées ont été condamnés par l’Ordre des Médecins britannique, le RCN qui représente les infirmiers et infirmières dans tout le Royaume Uni , les associations de personnes handicapées; ils ont fait l’objet de multiples débats à la Chambre des députés; le rapport du Comité des comptes de l’état a également vigoureusement critiqué les termes du contrat passé avec Atos qui coûte une fortune au contribuable britannique et dernièrement un médecin travaillant pour Atos a démissionné, révélant à la BBC que les dés étaient pipés, que les évaluateurs des capacités au travail, qui utilisent un système de points, se voyaient fixer des objectifs préétablis de radiation, avant même d’effectuer ces contrôles, comme l’ont révélé deux reportages télévisés et que les personnes handicapées étaient injustement privées de leurs allocations, et de ressources financières. Mais le gouvernement Britannique continue toujours à faire la chasse aux personnes handicapées et à refuser de révéler combien d’entre elles sont décédées après avoir fait appel mais avant qu’un jugement soit rendu, certaines devant attendre parfois plus d’un an pour cela. 1,3 millions de personnes ont fait appel en trois ans, et les statistiques du Ministère de la Justice révèle qu’environ 43% d’entre elles gagnent leur procès. Ce chiffre atteint 80% lorsqu’elles sont représentées par un avocat. Alors qu’Atos se défend en disant que la décision finale concernant le droit d’une personne handicapée à des allocations handicap est prise par un fonctionnaire sans qualification médicale du Ministère du travail, toujours est-il que les recommandations d’Atos sont suivies à plus de 90%. Mais derrière les chiffres, se cachent des milliers de tragédies humaines. Pour reprendre les termes de la médaillée d’or aux Jeux paralympiques Tara Flood, « le scandaleux paradoxe est que le principal sponsor de Londres 2012 [ait été] Atos, celui-là même qui détruit la vie des plus vulnérables pour le compte de l’État ». Atos Healthcare, a branch of Atos Origin, holds the British government contract to assess disabled people’s entitlement to disability benefits, with the stated goal of a 20% reduction in costs. 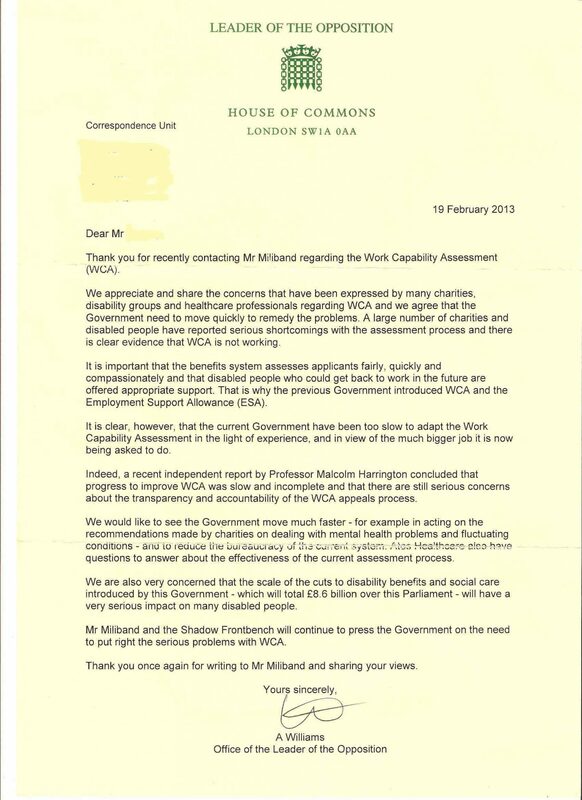 The humiliating assessments disabled people are subjected to have been condemned by the BMA, the RCN and many other official organisations and bodies which have called for them to be scrapped; there have been numerous debates in the Houses of Parliament about the way Atos carries out assessments; the Public Accounts Committee found that the British public was not getting value for money with the Atos contract. And lately an Atos whistle blower doctor explained to the BBC how the assessments, using a tickbox point scoring questionnaire, deliberately fail disabled people in order to stop their benefits. 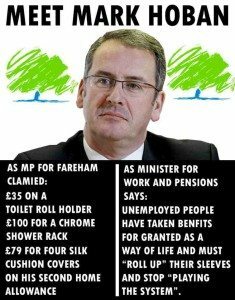 Two television programmes have also revealed that Atos assessors were given targets as to the number of claimants who should be entitled to disability benefits. The British government still refuses to release figures about the number of disabled people who have died while waiting for the outcome of their appeals. Over 1.3 million people have appealed in 3 years, of which, according to Ministry of Justice figures, 43% won their appeals, rising to 80% if they had legal representation. Although Atos’ answer to its critics is to say that the final decision is taken by an employee of the DWP without a medical background, over 90% of Atos recommendations are upheld. Government is just oh so predictable. People will no doubt be jumping with joy over today’s ministerial statement that Atos is at long last going to be subjected to having to put in place an improvement plan. You’ve only got to read the small print before you see how yet another corporate global giant will be offering Atos some ‘independent advice’ as to how to go about making the much needed improvements. No doubt PWC will leave aside the need for probing questions in to the deaths of benefit claimants following Atos’s infamous health assessments. The Minister for Welfare Reform (Lords) (Lord Freud): The Department for Work and Pensions is committed to continually reviewing and improving the Work Capability Assessment (WCA) process, to ensure that it is as responsive to the needs of claimants as possible. As part of this and to bring down waiting times for claimants, DWP has decided to change its approach to contracting for the WCA, by procuring additional providers on a regional basis. This is in keeping with the Department’s current commercial strategy and will provide increased capacity. These arrangements are likely to be operational from summer 2014. The WCA process is currently subject to a system of quality assurance and audits by both Atos Healthcare and DWP. A recent DWP audit identified a reduction in the quality of written reports which are produced by Atos following assessments and are then used by the Department to form part of the decision making process on benefit entitlement. This is contractually unacceptable. The Department is considering all its options under the contract and will apply all appropriate contractual remedies to ensure quality and value. Atos has been instructed by the Department to immediately enact a quality improvement plan. Measures include retraining and re-evaluating all Atos healthcare professionals, with those not meeting the required standard of written reporting either remaining subject to 100% audit until compliant or having their approval to carry out assessments revoked by the Department. The Department has also engaged PricewaterhouseCoopers to provide independent advice in relation to strengthening quality assurance processes across all its health and disability assessments. In addition, and in the longer-term, increased provider capacity will ensure that a greater focus on quality can be achieved alongside enabling the number of assessments the Department requires to be delivered. Assessment reports, such as those provided by Atos, form only one part of the WCA process, which has a number of checks and balances built in to ensure the right decision is reached for claimants. After the Atos assessment DWP Decision Makers make the final decision on claimants’ benefit entitlement based on all evidence provided during the claim. If the claimant disputes the decision or appeals there is then a reconsideration process where another DWP Decision Maker will reconsider the decision. If the claimant is still unhappy about the decision made, they can appeal. It is important to stress that DWP’s audit activity showed that claimants whose reports did not meet our rigorous quality standard were no more or less likely to have been found fit for work or appeal against the Department’s decision than other claimants. The Department also remains committed to the ongoing process of annual independent reviews of the WCA. From the three reviews already carried out by Professor Malcolm Harrington, over 50 recommendations have been, or are being, implemented to ensure the WCA is as fair and as accurate as possible. For example, we are currently carrying out an evidence-based review of the WCA descriptors with a number of major charities and we are working closely with the First-tier Tribunal to better understand the reasons for upheld appeals. A further independent review of the WCA is currently being undertaken by Dr Paul Litchfield, a respected Senior Occupational Physician, and we expect Dr Litchfield to make recommendations before the end of the year to further strengthen the WCA. The above measures show our commitment to continually improve the assessment, and to take decisive action when it becomes clear that there are issues which need addressing. We will come back to Parliament in the autumn with a further update. If you would like to know more about DPAC or make a contribution to our work please visit our website www.dpac.uk.net or email: mail@dpac.uk.net or twitter: @Dis_PPL_Protest *Special thanks to Rob Livingstone for some of the excellent artwork contribution on this video.